Insects, spiders, termites, and other pests put you, your family, and your home at risk. Preventing an infestation of pests in your home should be your highest priority, because once they become established it can be a nightmare trying to get rid of them. If you’ve ever attempted to control pests in your own home, you already know that professional help is essential. 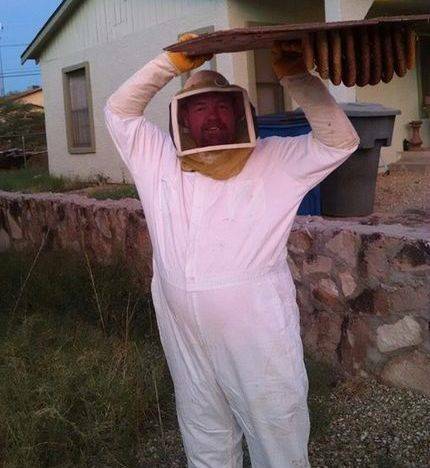 What you need is a Phoenix pest control professional that you can trust, so call today for a free estimate. Justin Barton, the owner of Barton Family Pest Control, has more than 17 years of local experience controlling the most stubborn pests. The personalized, one-on-one care you will receive ensures that you eliminate pests from your home at a far more affordable price than the big Phoenix pest control companies. Best of all, you can implicitly trust Justin to treat your home like it’s his own. If you’ve ever tried to control pests in your own Phoenix home, then you know that it’s most often a losing battle. Crickets, roaches, spiders, ants, and many other pests can quickly multiply out of control, putting your family and the structural integrity of your home at risk. Many homeowners attempt to control pests on their own because they want to save money, but the cost of failure can be far higher. With 17 years of experience, Justin Barton of Barton Family Pest Control will keep your home pest-free at an affordable price. Phoenix has a unique climate that allows a large number of potentially harmful pests to thrive. We offer a variety of services that control pests while catering to local home and business owners. If you have questions about something you don’t see listed here, please contact our office so that we can personally address your needs. Our Basic Service controls pests with a full interior spray in your home or business, and an exterior servicing to all landscaped areas. The spray we use leaves a residue that kills and repels bugs, but it does take time for the full effect of the treatment to be realized. Many common pests are entirely controlled with our basic service. While these pests will be killed when they come into contact with our spray, they are not covered by our 30 Day Guarantee. In Phoenix, the most common pests are the ones that can cause the most trouble. This is our list of the Most Wanted Pests that we routinely keep in the crosshairs when we service a home or business. Crickets – One or two crickets are loud enough, but a cricket infestation can be loud enough to keep you from falling asleep. Let us eliminate and control crickets before these pests ruin your nights. Roaches – Roaches carry a number of diseases, some of them deadly. If you’ve ever had a roach scurry across your floor when company is over, then you know how vital it is that you prevent these pests from gaining a foothold. Ants – Ants will quickly march on your entire home and can even destroy its structural integrity. We ensure that ants stay gone with our powerful spray that controls pests. Scorpions – If you see a scorpion, you’re probably already dialing our number. Our Premium Service controls the pests listed above except termites, but includes rodents. You won’t have to worry about any pest infestations when you sign up for a one year contract. We also offer a Specialty Cleanout Service plan, which interrupts the breeding cycle of the pests and keeps the spray residue level high to control the most stubborn and hearty pests. Three services are scheduled every other week, and the schedule must be strictly followed to ensure that pests are controlled. We can also work with you to develop a Custom Service plan to control pests, based solely on your unique needs. Give us a call to discuss any custom service you have in mind, and we can figure out a plan to control pests on your terms. Once we develop your idea, we can discuss how our guarantee may work.